We love The Lure in downtown St. Pete. 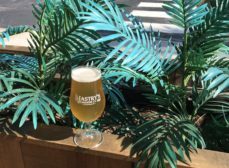 It's set up to be a fun space with whimsical murals, pool tables, (that you can play for free), and an eclectic menu of sushi and tapas that defy a single categorization as a restaurant. The service is cheerful and friendly. If you know the owners, Tom Golden and Richard Alday, you know that the entire atmosphere and attitude of the place totally reflects their personalities. Another cool, behind-the-scenes tidbit is that each front-of-the-house employee can choose whatever shirt they want to wear, as long as it is a button-down, and plaid. Then The Lure logo gets embroidered onto the front. (If you know me, then you know I'm a big fan of plaid.) 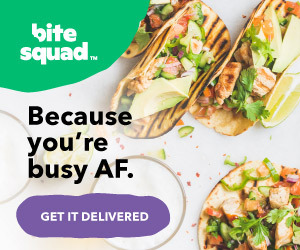 I'm also a fan of great food, so let's get to it. We had brunch at The Lure two Saturdays ago, on February 17, 2018. While all of the items we sampled were from the brunch menu, The Lure offers all items from the sushi and dinner menus during brunch hours as well, which are from 11am - 2pm Saturday & Sunday. 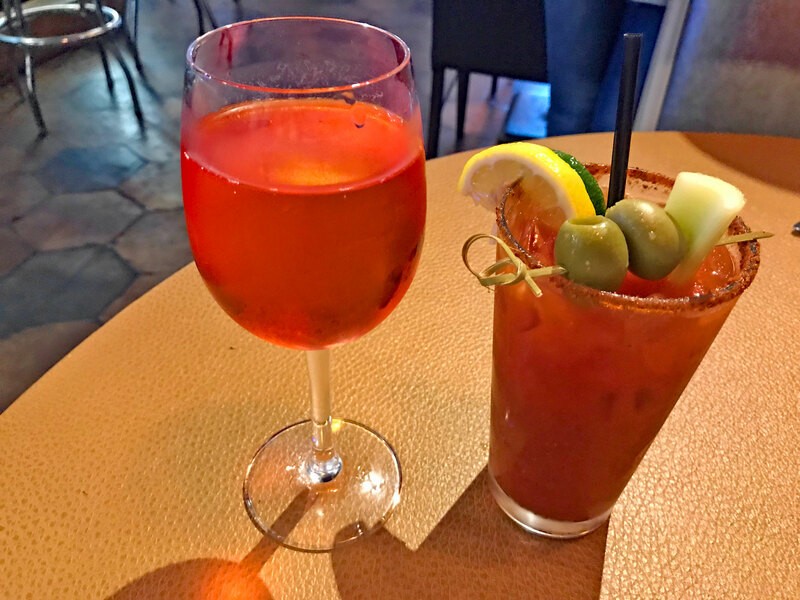 They offer pre-made Limitless Mimosas for $12, and Perpetual Bloody Mary’s for $16. Not a fan of pre-made mimosas, Lori ordered a Poinsettia, which has cranberry instead of orange juice and paid by the glass. There are three new brunch dishes; Aunt Rosie's Country Benedict, Huevos Rancheros Bowl, and Emerald Isle Bowl. Aunt Rosie's Country Benedict - Split and lightly grill a biscuit, top each side with a breakfast sausage patty, and a poached egg, and smother with Granny Sage's sausage gravy. Served with Tasso ham breakfast hash or smoked gouda grits. The recipe on this one comes from Richard's Aunt Rosie, hence the name. This dish is mouth-watering, hearty and packed with flavor and several different mouthfeels and textures. The sausage gravy is full-bodied and homemade. Grilling the biscuit is a nice touch, and the perfectly poached egg yolks warmly soak the sausage and biscuit in a delightful way. The Tasso ham breakfast hash is tangy and sweet with a nice char flavor as a counterpoint. I went with the hash as I knew I was going to get the grits that came with Lori's huge entrée. I love grits, and they are excellent at The Lure. 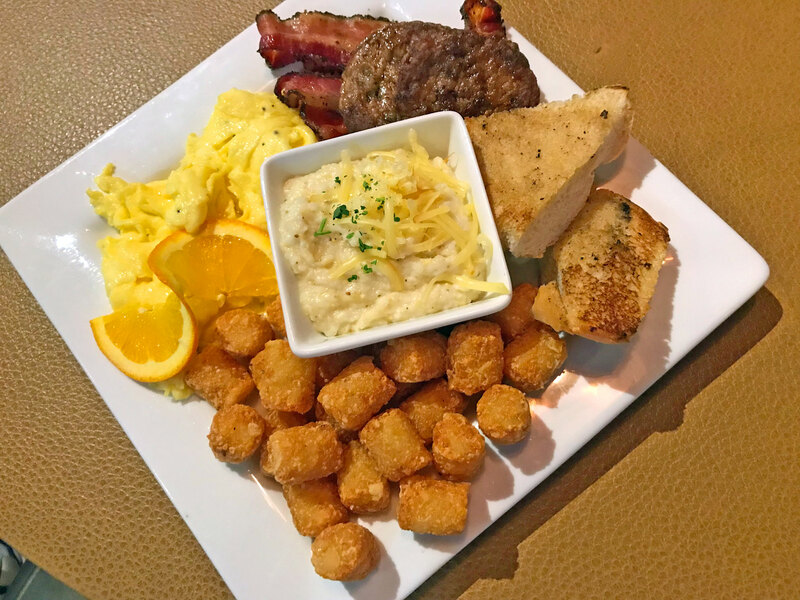 Lori started with one of the items from the very first brunch menu - Old McDonald had a Big Breakfast - A farm sized helping of Scrambled Eggs, Bacon, Sausage, Breakfast Tots, Smoked Gouda Grits and Cuban Toast. 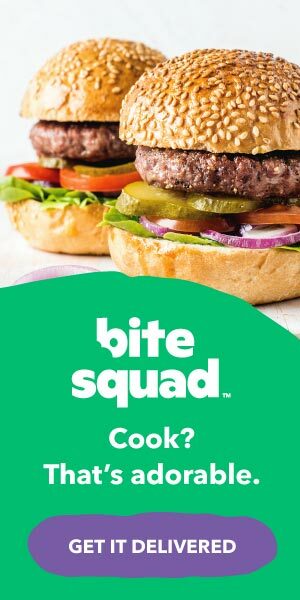 This one's a great hangover cure, and great if you are really, really hungry. Here are the other two new items. 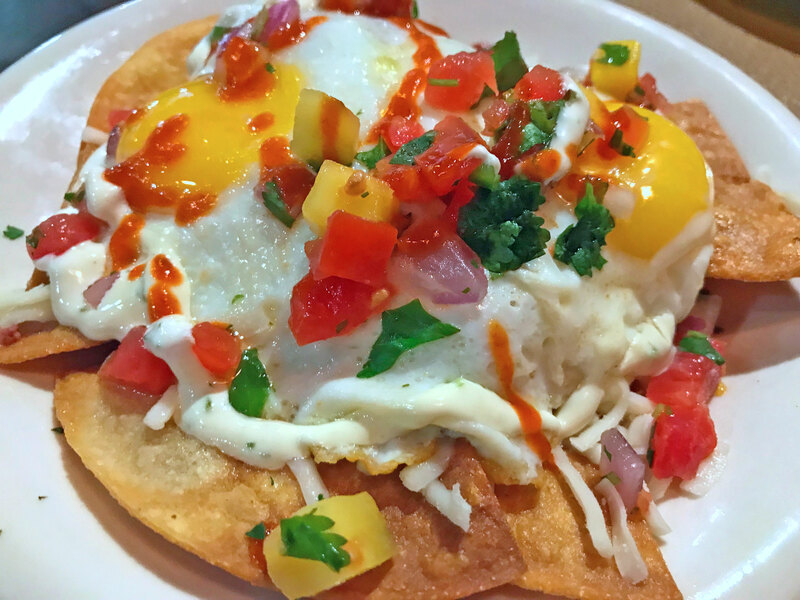 Huevos Rancheros Bowl - Crispy corn tortilla chips, refried beans, mozzarella cheese, mango cilantro salsa fresca, topped with two sunny side up eggs, drizzled with jalapeño sour cream and Sriracha, garnished with scallions. 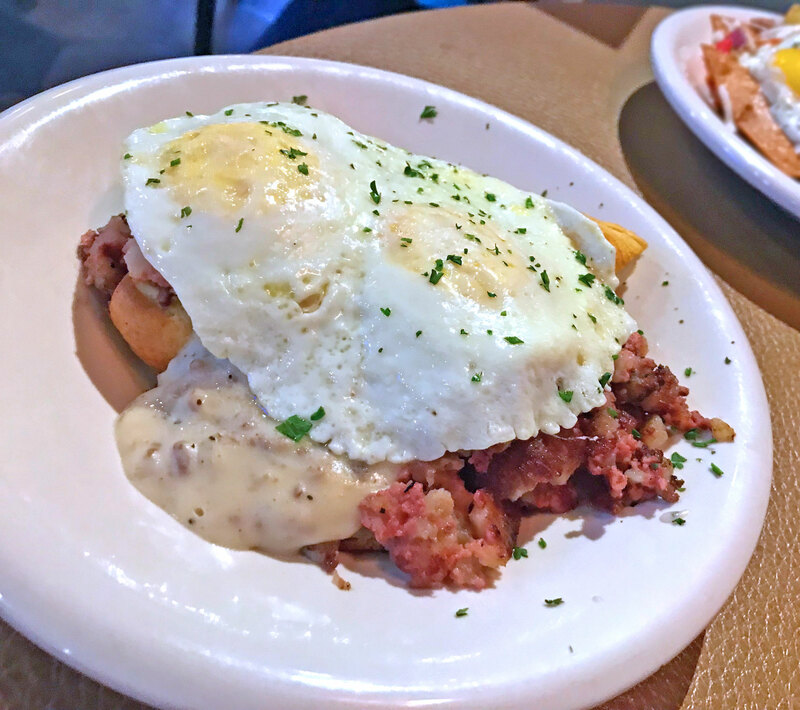 The Emerald Isle Bowl - Fresh baked biscuit, quartered, corned beef hash, Granny Sage's sausage gravy, topped with two over easy eggs, sprinkled with smoked gouda cheese. 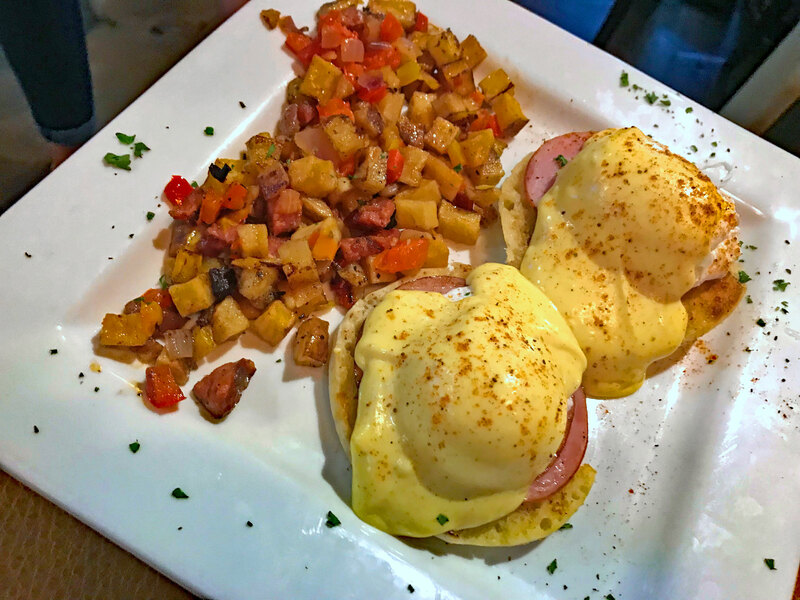 Two other favorites on the brunch menu are the Classic Eggs Benedict - Two poached eggs over Canadian bacon sitting on a split English muffin topped with homemade Hollandaise sauce. 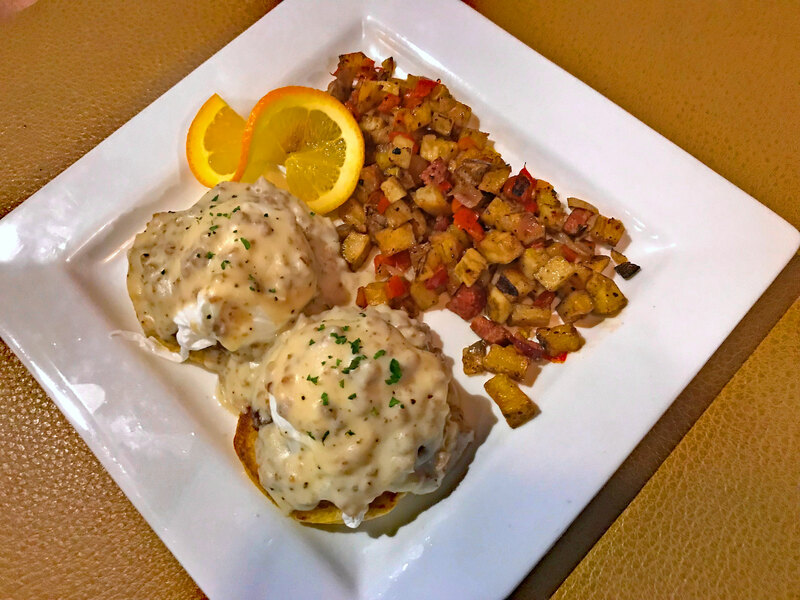 Served with your choice of Tasso ham breakfast hash or smoked Gouda grits. MORE FOODIES READING Tantalize All of Your Dining Senses at the Reading Room! Exceptional! 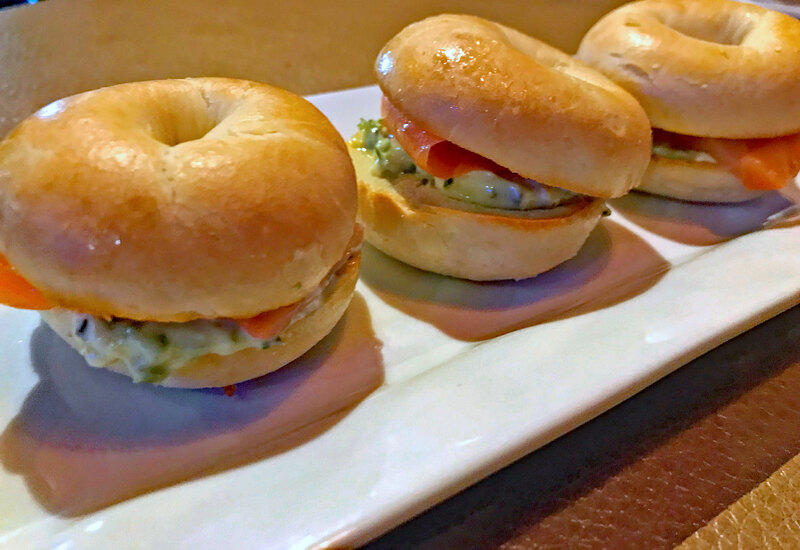 The Marvin - Three toasted bagelettes smeared with honey, chives, caper and red onion infused cream cheese and topped with thinly sliced smoked salmon. You should definitely add The Lure to your list for brunch this weekend, and tell them that St. Petersburg Foodies sent you! Great Sushi, Tapas & Brunch with Sushi & Dinner menus available during brunch, along with bottomless Bloody Mary's and Mimosas.